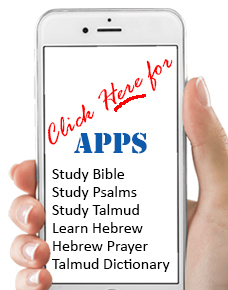 All 24 books of the Bible... Torah, Prophets, and Writings are now at your fingertips in one magnificent 2,079 page volume, as interpreted by the classic sages of Talmudic and Rabbinic literature. This is a remarkable achievement. It enables everyone to obtain a basic knowledge of the entire Tanach from "In the beginning" to the very last word of the Bible. Ideal for home, office, or synagogue. For gifts this is ideal in every way. Hard Cover - 2,079 Pages - Long Lasting - Quality Paper - Reinforced Heirloom Binding. All 24 books of the Bible... Torah, Prophets, and Writings are now at your fingertips in one magnificent 2,079 page volume, as interpreted by the classic sages of Talmudic and Rabbinic literature. This is a remarkable achievement. It enables everyone to obtain a basic knowledge of the entire Tanach from "In the beginning" to the very last word of the Bible. Ideal for home, office, or synagogue. For gifts this is ideal in every way. Hard Cover - 2,079 Pages - Long Lasting - Quality Paper - Reinforced Heirloom Binding.